European countries are characterised by valuable cultural landscapes that have gradually evolved through the interaction of people and the natural landscape, their survival being protected by traditional ways of land use. As the traditional forms of land use has changed, particularly over the past four decades, these valuable cultural landscapes are threatened and in places are facing extinction. Such landscapes often cannot compete with more urgent needs on the level of planning and the implementation of important infrastructural developments, together with the needs and requirements of modern agriculture. 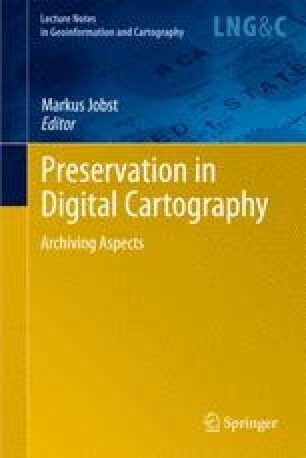 This contribution introduces the ad hoc concept of selective historic landscape characterisation programmes leading to the concept of systematically archiving the complex information systems of cultural landscapes for permanent interdisciplinary access prepared on the basis of empirical studies. Much of the data acquired is related directly to specific infrastructural projects and largely neglects the requirements for other similar projects that might arise in the future such as flood protection, climate change. It is considered that the interdisciplinary archiving of landscape elements and entire cultural landscapes is an opportunity to combine practice, through economic drivers, effects, and implications, with science through the development of an interdisciplinary approach to cultural landscapes. Anon. 2005. Lancashire Historic Towns Survey. Available at: http://www.lancashire.gov.uk/environment/archaeologyandheritage/historictowns/index.asp.Retrieved February 13, 2009. Baker D. and Chitty G. 2002. “Heritage Under Pressure: A Rapid Study of Resources in English Local Authorities.” Prepared by Historic Environment Conservation/ Hawkshead Archaeology and Conservation for English Heritage London. Available at: http://www.english heritage.org.uk/server/show/nav.001003005001002/chooseLetter/H. Retrieved February 11, 2009. Ball D., Edwards R., Gaskell P., Lake J., Mathews M., Owen S. and Trow S. 2006. Living Buildings in a Living Landscape: Finding a Future for Traditional Farm Buildings. University of Gloucestershire in association with English Heritage and the Countryside Agency. Available at http://www.helm.org.uk/ruraldevelopment. Retrieved February 11, 2009. Gaskell P. and Owen S. n.d. Constructing the evidence base. University of Gloucestershire in association with English Heritage and the Countryside Agency. Available at http://www.englishheritage.org.uk/hc/upload/pdf/Historic_farm_buildings_full.pdf. Retrieved February 10, 2009. Lake J., Edwards R. and Wade Martins S. 2006a. Historical Farmsteads: Preliminary Statement South East Region. University of Gloucestershire in association with English Heritage and the Countryside Agency. Available at http://www.helm.org.uk/ruraldevelopment. Retrieved February 11, 2009. Lake J., Edwards R. and Wade Martins S. 2006b. Historical Farmsteads: Preliminary Statement North West Region. University of Gloucestershire in association with English Heritage and the Countryside Agency. Available at http://www.helm.org.uk/ruraldevelopment. Retrieved February 11, 2009. Mills S. 2005. Applying Auditory Archaeology to Historic Landscape Characterisation: A pilot project in the former mining landscape of Geevor and Levant Mines, West Penwith, Cornwall. A report for English Heritage by the Cardiff School of History and Archaeology, Cardiff University. Available from http://www.cardiff.ac.uk/hisar/people/sm/aa_hlc/Text/AA_HLC_Report.pdf. Retrieved February 9, 2009. Winterburn E., 2008. Historic Landscape Characterisation in Context. FORUM Ejournal for Post Graduate Studies in Architecture, Planning and Landscapes. 8(1), pp. 33-46. Newcastle University (available on http://research.ncl.ac.uk/forum/). Retrieved February 13, 2009. http://www.archiwa.gov.pl Retrieved January 22, 2009. Website of the State Archives. http://www.cadses.ar.krakow.pl Retrieved January 22, 2009. Website of the Project Cultural Landscape. http://www.ordnancesurvey.co.uk/oswebsite/products/osmastermap/. Retrieved February 26, 2009.